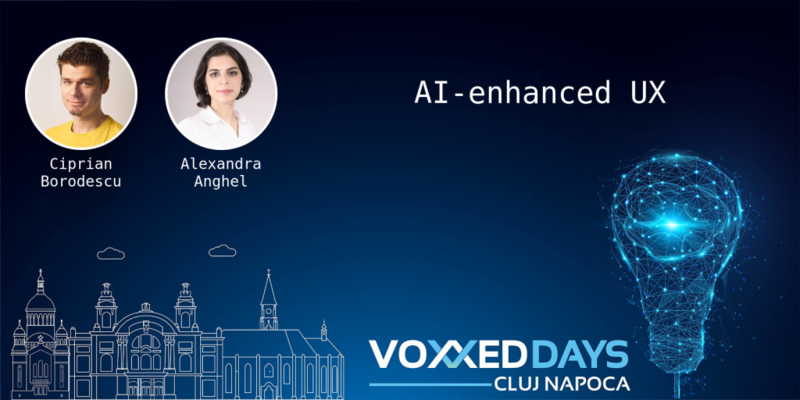 Alexandra Anghel is co-founder and software engineer at MorphL – a platform that uses machine learning to predict users’ behavior in mobile & web applications. MorphL is my second startup, I’ve also co-founded Appticles, a platform for creating progressive web apps. Before starting Appticles, I owned an outsourcing company. I’m co-founder of Codette, a community for women interested in IT&C. Codette promotes education at all levels and create opportunities for women to fulfill their potential through workshops, meetups, conferences, hackatons and grants. I’m a tech-business in-between guy, passionate about entrepreneurship and building communities. * 2005 started my first web agency, grew it to a decent size with customers all over the world. * 2010 went through Startupbootcamp business accelerator in Copenhagen/Denmark. * 2014 raised a seed round (up to €200,000) for Appticles.com from LaunchHub (EU). * 2016 raised a second seed round from Prosper Entrepreneurs in St. Louis, Missouri (US). Love to play tennis, ping-pong and squash. I’m co-founder and software engineer at MorphL – a platform that uses machine learning to predict users’ behavior in mobile & web applications. I have a technical background, I’m a software engineer with over 10 years experience. I’m also co-founder of Codette, a community for women interested in IT&C. Codette promotes diversity and education at all levels and creates opportunities for women to fulfill their potential through workshops, meetups, conferences, hackatons and grants. We’ve been working on predicting user behaviors in mobile/web applications since the beginning of 2018 after we got the grant from Google DNI. In doing so, we’ve been exposed to different use-cases from churn predictions to predicting user search intent or purchase prediction. This talk explores practical points of implementing these use-cases in an open-source big data & ML architecture. This is suitable for mobile/web application developers that are interested in exploring or implementing ML in their products. From a business perspective, there is one main take away: start from the use-case and understand if ML is actually the right tool to solve that specific problem. More often than not, you’ll find that AI/ML is not the solution to all your problems or cannot be used to solve it because you do not have the data for it. Adding to what Ciprian said, from a technical perspective, ML and software engineers can take a peak at a Big Data infrastructure. We will also present the MorphL tech stack and talk about the challenges we have encountered while building the platform. It was a pivotal year for me because I have started this new venture called MorphL and already got validation by being funded through Google DNI and (recently) European Data Incubator. It was a busy, busy 2018 and I’m extremely excited about 2019! We started MorphL as an open-source product and we’re looking to grow the community around it. We’re also preparing a commercial version and looking to offer it as a SaaS cloud version to companies. Like I said, 2019 is going to be extremely exciting.